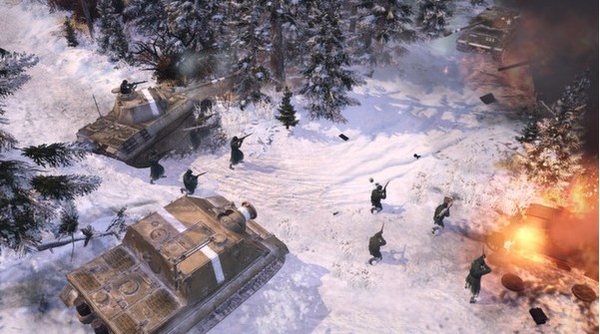 By buying the OKW army individually, players who do not yet own any Company of Heroes 2 product can access all existing Company of Heroes 2 maps in auto-match, and play against all other existing factions in multiplayer or through skirmishes against the AI. 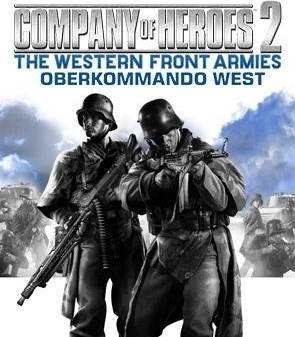 The Oberkommando West, battle hardened and newly equipped, are a resurgent and very dangerous foe. 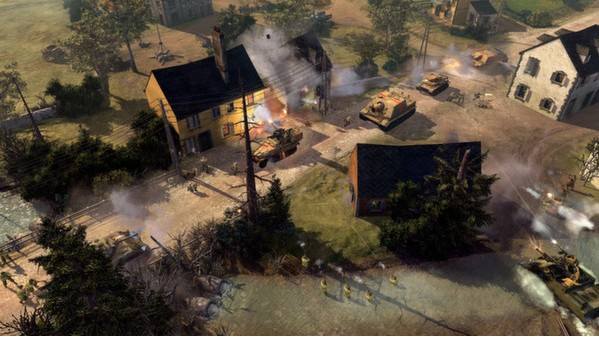 Despite being challenged by an economy nearly shattered after years of continuous war, the Oberkommando West still manage to field some of the most impressive heavy armor yet seen: the technical prowess of Germany is on full display as devastating armored force equipped with a new generation of super-heavy tanks repeatedly counterattack the US Forces attempting to drive into the heart of Germany. 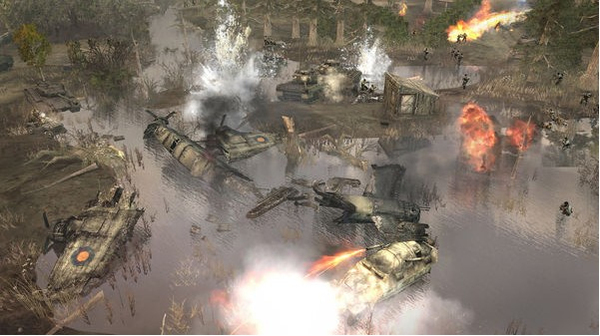 Seventy ton ‘King Tigers’ are supported by well-trained infantry; assault Sturmpioneers lead the way while capable Volksgrenadiers are a threat to enemy infantry and vehicles alike. A completely new take on the German forces brings brand new abilities and new strategies to the frontline. 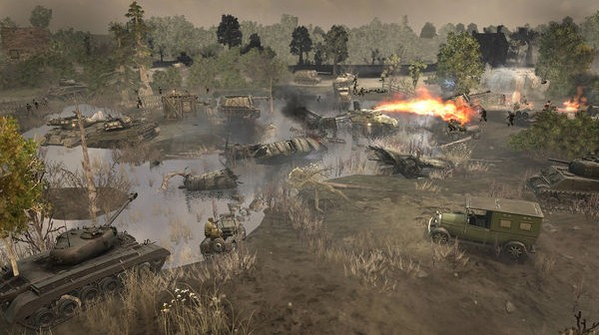 Expand the war to the popular Western Front theater of combat, featuring breathtaking new environments, that bring realism and vibrancy never before seen in the game. 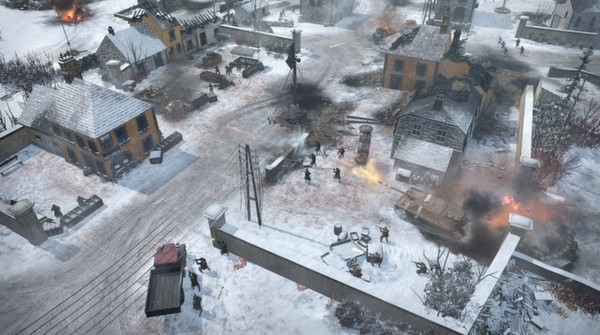 Eight stunning new maps join the extensive collection of 23 existing Company of Heroes 2 maps as well as over 1000 community created maps available on the Steam workshop. 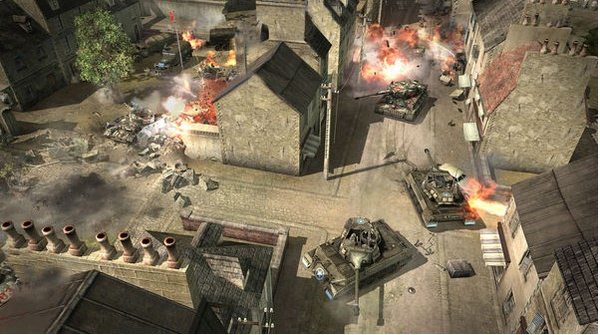 Feel the unprecedented ferocity of frontline strategic warfare and engage in visceral battle with adversaries across the globe. 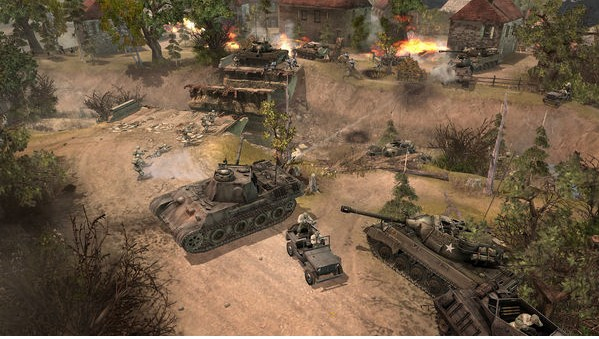 Experience the up-close moment-to-moment brutality of frontline warfare and control the battle through your military prowess.